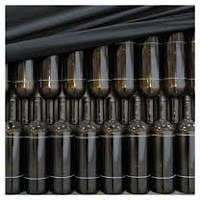 One of the more celebrated electronic releases of 2010, this ambitious effort from Cleveland noise /art-rock stalwarts Emeralds is notable for its meticulous recreation of the classic sounds and textures of early avant-garde electro-pop and ambient music, particularly those mid-to-late 70s works of pioneering electronic artists like Vangelis, Tangerine Dream, Robert Fripp, and Brian Eno. Truth be told, half these songs would almost feel right at home on Eno's masterpiece Another Green World, and those that don't could flow effortlessly in a mix with tracks from other Fripp/Eno efforts like No Pussyfooting, 801 Live, Exposure, Music For Airports and Music For Films. For me though, the mere spot-on recreation of these sounds was not enough. Though the music is expertly done, sometimes with interesting twists, Emeralds fail to recognize the primary differentiator of Eno's genius: For all of Eno's conceptual innovation, it was his ability to marry his abstractions with a retained sense of primal, human emotion that set him apart. Eno's efforts from this era weren't just groundbreaking...they could also be profoundly moving. Here, aside from one beautiful track (Goes By), Emeralds fail to deliver on the emotional half of that equation, leading to a record that comes off - to borrow a phrase from the presidential debate parlance of the moment - as quite wonky: occasionally fascinating reworkings of forgotten sonic motifs, conveying little to no heart. There are tracks that impress. The aforementioned Goes By, the fine, building opener Candy Shoppe, the explosive title track (which reminded me some of Tim Hecker's work on Ravedeath, 1972), and the shifting, over-the top but at times glorious Genetic are all well worth a listen. But the rest of the material, while still decent, floats by in a bit of a bloopy, hard-to-connect-with, undifferentiated haze that is best left to fervent fans of the band, genre and era. Cherry Picker's Best Bets: Candy Shoppe, Genetic, Goes By, Does It Look Like I'm Here? Intangibles - average to slightly low. Here's a live performance from last year of album opener Candy Shoppe. Though loathe to admit it, for even the most ardent rock 'n' roll completists, there are bands...sometimes great bands...that escape one's grasp the first go around. For me, Gil Scott Heron, whom I just discovered two years ago on his final solo release I'm New Here, was one. Wire is another. So unlike most other reviews, I will not be examining late career recording Red Barked Tree in the context of how it relates to Wire's early lauded classics like Pink Flag, Chairs Missing, or A Bell Is A Cup...Until It Is Struck, for the simple truth that I have yet to hear them. This review instead assesses Red Barked Tree as my point of entry into the band's body of work. And taken in that context, it's clear I do need to start listening to those other albums, because Red Barked Tree isn't doing a whole lot for me. There are a few things I like. 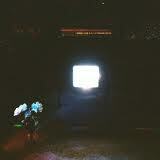 For one, the album sports an engaging rhythmic simplicity. Musically, these are uncomplicated songs, but the instrumentation and song structures have a clarity of intent I find appealing. There are also two genuinely excellent tracks...the raised-middle-finger opener Please Take, which is a textbook case-study in ironic understatement, and the album's feistiest number, the acidic punker Moreover. But after that, the pickings are mighty slim. Taken as a whole, this is an art-punk record with very little musical bite. I'm tempted to reach and make thematic links between the album's title/cover, which seem to suggest an exploration of alcoholism as an emotional defense mechanism - and the actual music, which does have a similarly detached, protective but unassertive feel, as if conceived by a nasty drunk whose motor control has slipped too much to be a physical challenge, but who still sober enough to throw out a cutting zinger or two. But in the end, such analysis lends more weight to this work than it probably deserves. Red Barked Tree is a decent sounding, lackluster record with some fine, wry lyrics, but a number of flat, only mildly engaging songs. It gets a mild recommend on the strength of its sound and those two fine tracks, and is probably a worthwhile addition for lifelong fans of the band. But for others like me, who are just getting started in exploring what is reportedly one of the richest discographies in all of punk, I sense, from my limited perspective, that Red Barked Tree is probably not the place to start. Cherry Picker's Best Bets: Please Take, Two Minutes, Moreover, Red Barked Trees. Here's a music only video for Please Take. 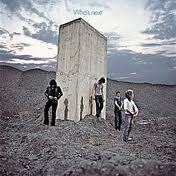 From today's perspective, Who's Next is as classic rock as classic rock gets. Hell, with it's ginormous, arena-sized thump, all-time iconic bookends in Baba O'Riley and Won't Get Fooled Again, and arguably the most famous scream in all of recorded music, Who's Next might be the classic rock album. All of which blurs the historical truth that at the time of its release, Who's Next was something undeniably new. Born from the failed, nervous-breakdown-inducing ashes of Lifehouse, an SF rock opera Townsend had envisioned as the band's follow up to Tommy, Who's Next captured the band at a moment when it was ready to sever all ties with its past, and these scattered shards of Lifehouse that survived, though no longer thematically linked, presented the group at their most emotionally confrontational. Not that it's an album full of anger. To the contrary, there is a vibrant eclecticism on display, from gorgeous, heartbreaking ballads (The Song Is Over, Behind Blue Eyes), to declarations of love both ferocious (Bargain) and charmingly elemental (Love Ain't For Keeping), from the acerbically comic (Entwistle's My Wife), to the joyously silly (Going Mobile). But when push came to shove, it was the band's growing disdain for the behavior and ideology of their peers that fueled the album's best material. Never fans or active supporters of the 60s flower-power movement, the band is downright disdainful of the protest-minded here, both lyrically (Meet the new boss / Same as the old boss - It's only a teenage wasteland), and visually (where album title and cover encouraged all to piss on a monolith - the mystical evolutionary metaphor from every acid-dropping hippie's favorite 60's movie, 2001, A Space Odyssey). However, as fed up as the Who were with the conventional wisdom of the day, it was instrumentally, not thematically, where Who's Next would have its biggest impact. One of the first albums to fully incorporate the synthesizer, Townsend's work with sequenced tape loops on those famous bookends is now a permanent strand of rock 'n' roll DNA, but at the time, the effect was revelatory. For some odd reason...or maybe because Who's Next is so associated with classic rock - today's top electronica artists rarely cite the album as an influence...but make no mistake, Who's Next was one of the very first "electronic" albums...a huge step forward. Bottom line - whether recognized or unrecognized for its breakthroughs, it's hard to consider Who's Next today as anything other than a career high for one of the 60s top acts, and one of the greatest rock albums ever made. A must own, and one final thought, the 1995 Geffen 16 track re-release of the album contains some of the best CD bonus tracks I've ever heard. I don't list those tracks here, but it's well worth seeking this expanded version out. Cherry Picker's Best Bets: Baba O'Riley, Getting In Tune, Behind Blue Eyes, Won't Get Fooled Again. Here's one of the final performances of opener Baba O'Riley from the band's original line-up, captured just months before Keith Moon's death in 1978.